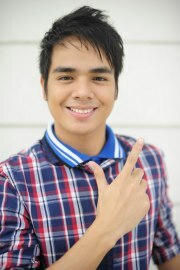 Mr. Pogi 2012 winner has been named during the grand finals held earlier on the country's #1 variety show 'Eat Bulaga'. 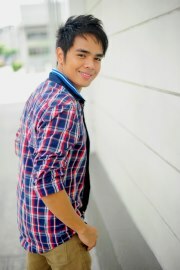 21-year-old John Edric Ulang from Binangonan, Rizal won the Mr. Pogi 2012 title, beating 15 other grand finalists. It was a surprising win for John Edric, who was able to beat fan favorites such as contestants #1 Kelvin Engles, #12 Bonz Andre Militar and #9 Rommel Galido who only finished as among the Top 9 finalists, and even contestants #8 Bryann Carlo Jaofrancia and #1 Chryst Josef Almazar and who placed as runners-up. Maybe he scored high during the talent portion where he sang so well (he really can sing) and for what he said during the Q&A portion that he will continue his father's dream of becoming an actor. I didn't like him though during the "aktingan" portion, but he can still improve in that aspect. There were two "1st Runner Up" placers, due to a tie in their scores which the judges didn't mind to break. They were #8 Bryann Carlo Jaofrancia and another surprising winner, #13 Jaylord Casiño, each winning P100,000 cash prize. Mr. Pogi 2012 winner John Edric Ulang, who won a cash prize of P200,000 and 1 year supply of Ego Jeans worth P100,000, now joins Jericho Rosales, Danilo Barrios and Edgar Allan Guzman in the "Mr. Pogi" club.